Mom went to BarkWorld in Atlanta Thursday to Saturday. We didn't go - we have a travel embargo in place. MOL And since mom was flying, no kittens went this time either. Since we weren't there, we are going to let mom take this post. As with most conferences like this, there was good and bad. Downtown Atlanta - while there were restaurants all over, traffic was terrible, parking was expensive and getting around was very hard. I don't care what the organizers say, it was ALL dogs, ALL the time. A couple of things in the swag bag were for both, the only true cat item was a coupon for cat litter. Little dogs and owners who pay no attention to the dogs or where they should be. NOTHING was on time.....there was never any explanation for it and everything started late. It was so frustrating - and unprofessional. 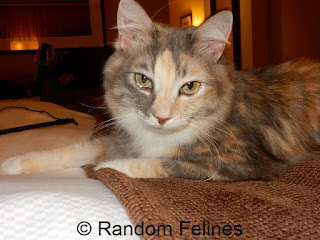 Spending time with Paula from Sweet Purrfections and Julie from Sometimes, Cats Herd You. MeowBox stepped up after a few comments were made on Facebook and offered to sponsor a cat breakfast. There was some cat specific swag in the breakfast and MeowBox gave away three boxes (we won one and Julie won another). Emily and Sophie from Kitty Cat Chronicles came in for a visit....it was nice to see them both and get some kitty love. 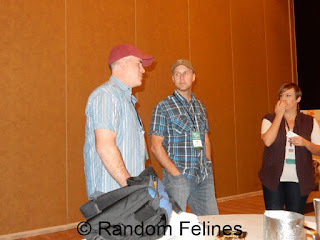 Meeting the cat guys from Canopy Cat Rescue. These guys were great. They were very prepared and are so passionate about what they do. There was a limited number of people invited to speak with them after their speech and they are just nice guys. For them, everything about what they do is rescuing cats. It was asked about the show that was on for a short time. Without getting into specifics, it was pretty clear that TV was getting into the way of rescue and they parted ways. Their passion is so evident and it was a thrill to hear them and speak with them. 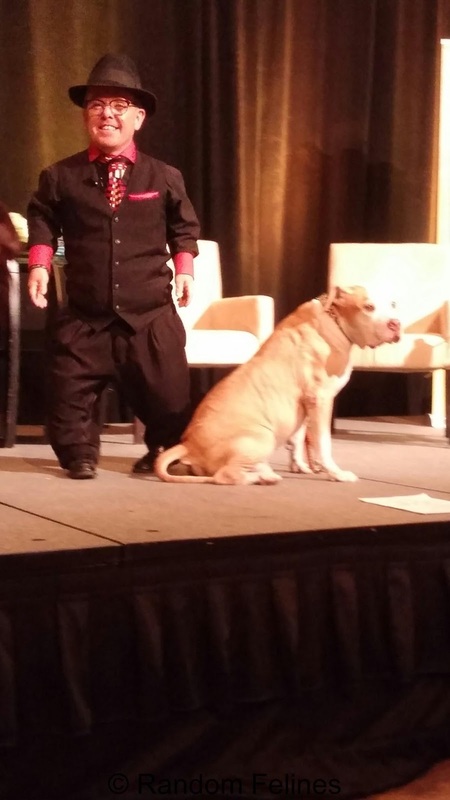 Shorty Rossi was there with his dog Hercules. He was funny and again VERY passionate. He spoke at length about getting educated before making statements on social media. And then getting involved and being passionate. It was interesting to hear how far he has come in life and how he is so dedicated to pitties and BSL and making changes for the breed. There were sessions about branding and writing. The big picture message that I got out of the sessions that I went to was to be genuine, be passionate, be honest, be educated and be yourself. They weren't giving out much stuff. HALO was there and was donating a meal to shelters for taking a picture with their sign and posting it. I don't put my picture out there much, but for that I was on board. There was a couple of app companies there that I need to look into more and will talk about some other time. But again, mostly dog oriented. As much as I loved getting out of town and seeing some friends, I don't think I will go again. 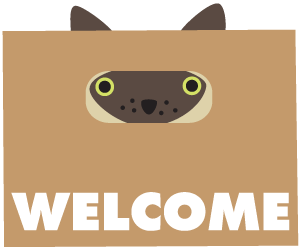 I LOVED meeting the Canopy cat guys. But honestly, it was exhausting dealing with being one of very few cat people. Brands were sure what to do with us. There were a couple of dog owners I wanted to seriously slap. The total lack of professionalism when it came to running things on time and keeping people informed of changes drives me nuts. What a great, thorough review of the conference. The head peep says she loved seeing you and wishes she could more often! 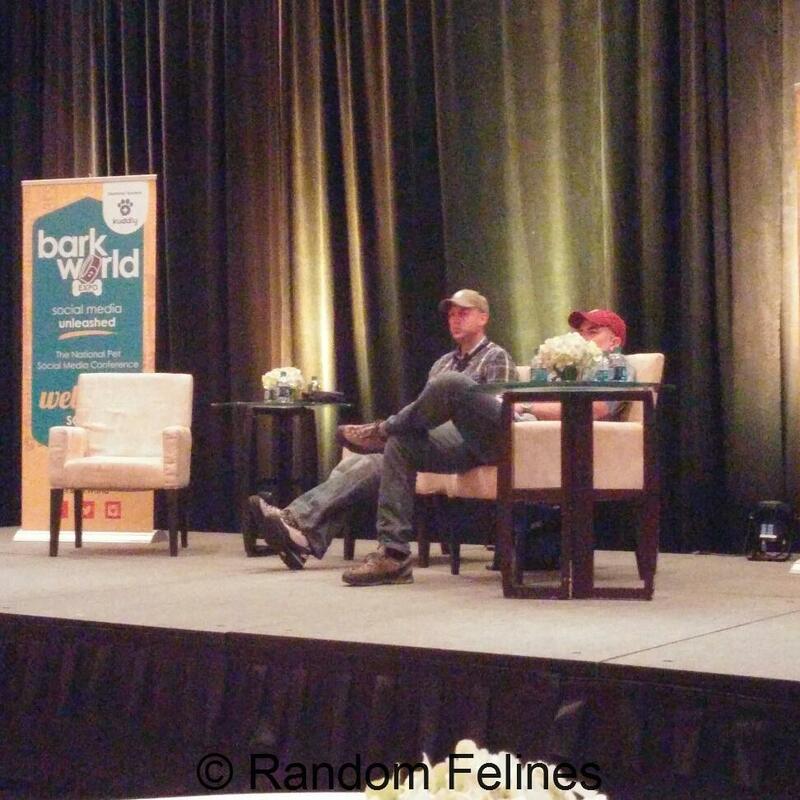 She agrees that being one of the few cat representatives at a dog conference really is exhausting, and she has so much more respect for what the folks who blog about other critters like ferrets must go through at events like BlogPaws. Wow. I'm sorry it was so poorly organized and so dog-centric! It drives me nuts that the cats get left out so much at "pet" conferences. There are MORE cats living in homes in the US than dogs....when will brands and pet conference people realize this? In any case, I'm sure it was nice to hang out with the few cat people who went and to meet miss Sophie! Best review ever, we think, because it sounds honest and heartfelt. We're sorry to hear it should have been more professional and that dogs took over nearly everything. We cats will have our day, we're convinced! That must have been disappointing. 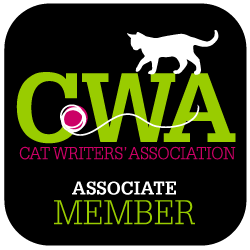 Be sure you tell in some way the people responsible for the confusion and the lack of cat-related work. Cat-people are a huge market; those responsible should get the message. 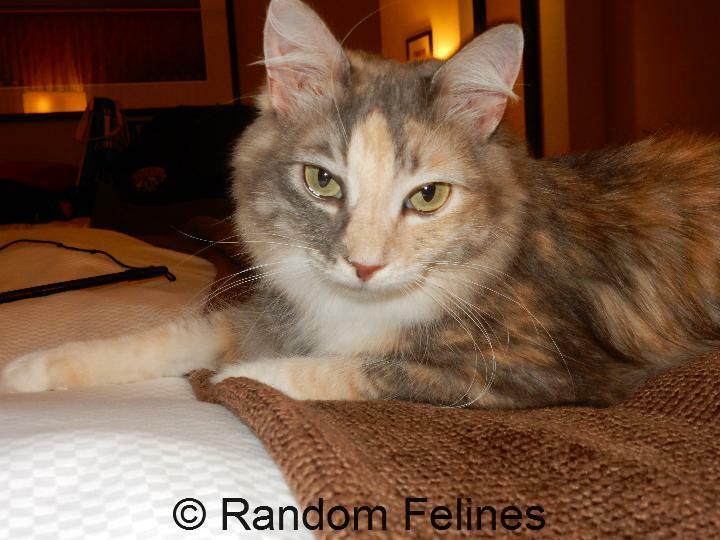 It sounds like my human made a good call, attending the Better With Pets summit and the Livermore cat show (with me!) instead. We missed seeing you and Julie and Paula - and SOPHIE! (and Emily!) - though. 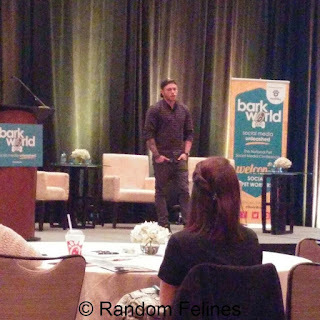 It's a bummer the conference and the brands weren't more cat and cat blogger friendly. Spending on cats among consumers is on the rise - don't they realize that? Aw, sorry you didn't have a good time. Except for the cat rescue guys! I wondered why their show went away. Pretty smart of them to think of the cats first, fame last. we thought that looked like a familiar kitteh face ~~~~~ waves two ewe sophie... !!! It's too bad the conference wasn't better. The mom isn't sorry for not going this year...though she would have loved to have spent some time with you and the others. well rats. Or mousies. Or, yanno. We were so hoping it might be better this year. We DID miss spending time with you guys - which was totally the highlight of LAST year!! thank you for this. I was only slightly starting to regret not going, but I feel better.. I mean I was okay not going, but still..
We cat people so need to put on our own conference.. Lisa, get on that after you make your 5000th video, um, kay, thanks! Thanks for the review! Mommy was a little bummed at first that she missed it, but she feels a little better now. Although she always has fun hanging out with our friends' humans. I don't understand why dogs get all the glory when more people own cats. Nothing against dogs, I just wish things would even out.